Ex-student, future student or student in mobility? You want to share, to meet new people and to put a lot into an association with an international vocation? 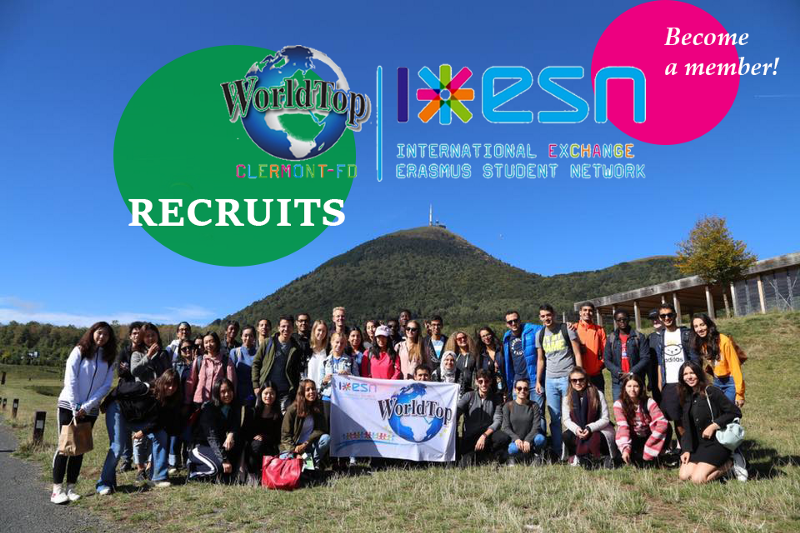 Then WorldTop ESN (Erasmus Student Network) is the association for you! If you are motivated, a hard worker, creative, a party animal, open-minded and a trendy international don't hesitate anymore and join us!